Next Level Financial Services (Next Level) ABN: 40 771 964 301, Corporate Authorised Representative (CAR) number 461059, is authorised to provide financial services on behalf of Integrity Financial Planners Pty Ltd (AFSL No. 225051). 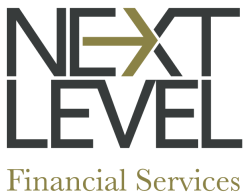 Next Level Financial Services is represented by Mark Godfrey (360517), Gavin Thompson (284655) and Jessica Check (1257966) who are authorised representatives of Integrity Financial Planners Pty Ltd. No other person is authorised to provide advice on behalf of Next Level Financial Services. Mark is the Director of Next Level Financial Services. He helps individuals manage their wealth. Mark holds a Bachelor of Commerce at Melbourne University, a MBA from Melbourne Business School and a Diploma in Financial Planning. As a Senior Financial Adviser, Mark has extensive experience in financial services specialising in superannuation, investments, tax effective investment, risk insurance, asset protection and estate planning. Mark actively advises Next Level's clients to assist them in identifying opportunities and strategies to maximise their wealth. He is involved in all aspects of the relationship with clients from the first meeting to the implementation of the financial strategy through to the ongoing review and fine tuning of recommendations. As the Director, Mark also works on Next Level's strategic direction and his responsibilities extend to marketing Next Level's services to new clients as well as developing business partnerships with other professional services firms. Away from the office, Mark is a committed father, who long ago gave up believing that he could outsmart his daughter. He also has a wide range of sporting interests and his mood of a Monday morning can often be traced to North Melbourne's football team performance on the preceding weekend. Mark works from both the Balwyn and Mount Eliza offices. Call 03 9188 4254 or 0409 222 507 or email to book an appointment with Mark. Gavin joins Next Level Financial Services in April 2017 as a Senior Financial Advisor. Gavin has a Bachelor of Economics from La Trobe University as well as a Diploma and Advanced Diploma in Financial Planning. As a Senior Financial Planner, Gavin has nearly two decades of experience in the financial advice sector after starting his career in the 90's as a graduate in the Money Market at the NAB before entering into financial planning. He has extensive experience and knowledge in investment markets and economies as well as the technical and legislative areas of advice, in particular, superannuation, retirement planning and estate planning. ​Away from the office, Gavin enjoys spending time with his wife and two sons, in particular if that involves cricket, football or fishing! Gavin's dream came true when the Western Bulldogs won the AFL premiership in 2016 after being a long suffering supporter. Jess is the Client Services Manager and Financial Adviser of Next Level Financial Services. Her role is to facilitate the administration of clients' portfolios and to assist in the management of business operations and provision of advice. Jess completed a Bachelor of Commerce Majoring in Finance and a Bachelor of Arts Majoring in International Studies in 2016 at Monash University and has recently become a qualified Financial Adviser in September 2017. Jess is the first line of communication and is responsible for managing the relationship with clientele, liaising with a number of institutions on behalf of clients, assisting in the preparation and delivery of advice and aiding the day to day operations of the business. Outside the office Jess enjoys keeping fit often training in the gym or outside if weather permits and particularly enjoys cooking, reading and keeping up to date with new films on weekends. Jess works from the Mount Eliza office, please call 03 9188 4254 or email Jess. Andrea is the Marketing Manager at Next Level Financial Services and facilitates Next Level's marketing strategy in line with current business objectives. Her duties include brand management, preparation of marketing materials and overseeing and maintaining the corporate website and the social media platform. Andrea is married with one teenage daughter and enjoys pilates, interior design and painting in her spare time.